Even though I don't buy fresh pasta very often (because of the price), I do like to have it on special occasions. So, when I had an opportunity to buy this product at Costco a few days ago, I did. And, overall, I have to say I was happy with this purchase. My decision to buy this product was based partly on the price. 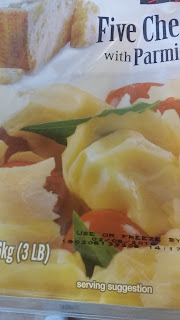 I thought $9.99 for 6 pounds (two 3-pound packages) of fresh tortellini was a pretty good deal, especially since it normally costs me about $3.50 for a one-pound bag of frozen tortellini. But, after having it, I would purchase it regardless of price. 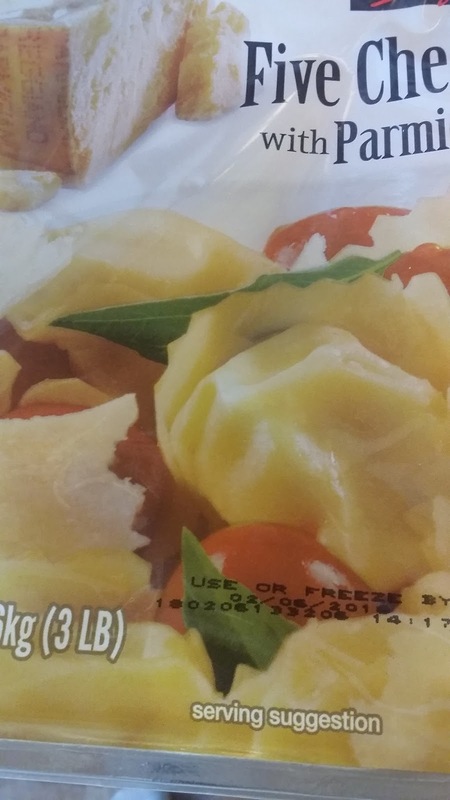 One thing, in particular, I like about this product is the size of the tortellini. They aren't huge. But, they are definitely larger than the frozen ones we buy. This helped make them a lot more filling. Also, the tortellini were filled with cheese. This probably shouldn't have surprised me. But, I've had plenty of other similar products that promised to have a lot of cheese in them that didn't. So, purchasing something that lived up to what it was advertising on the package was definitely refreshing. It was a big hit in our house too. I made one of the packages a couple nights ago and everyone enjoyed it. We didn't even have any leftover. Considering my kids can be kind of picky, that's not a usual occurrence in our household. Final Opinion: This was a good purchase, both because of the cost and the overall quality. It is something I would definitely recommend as a result.